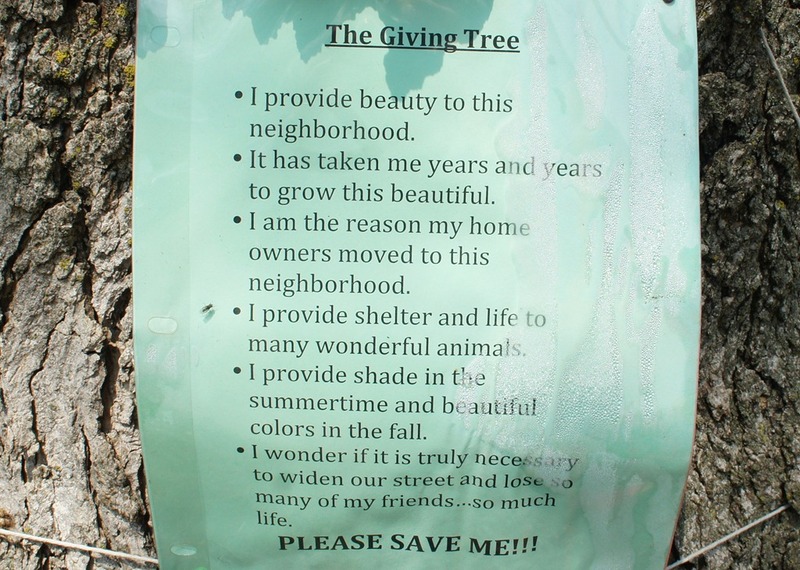 I want the beautiful Red Maple tree, which I planted years ago, to remain where it is. It is a perfect tree. How fortunate I have been to enjoy our Bridge Square for eighty years! I told her I wanted to take her photo with the tree and asked her for more details on how it happened. Hi Griff, Believe I am a regular “Johnny Appleseed.” Being a tree-lover, I plant them about town. When my husband Lowell died, I planted an English Columnar Oak in the UCC garden as a memorial. 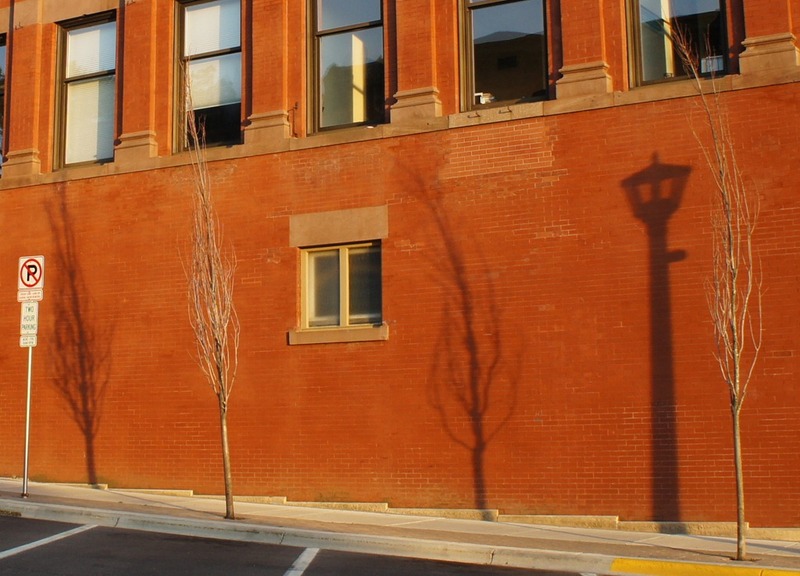 Then, I planted two Red Maple trees along the Central Park sidewalk, followed by a beautiful Red Maple tree on south side of our Middle School (now Weitz Center) which has inspired our schools to do more plantings. 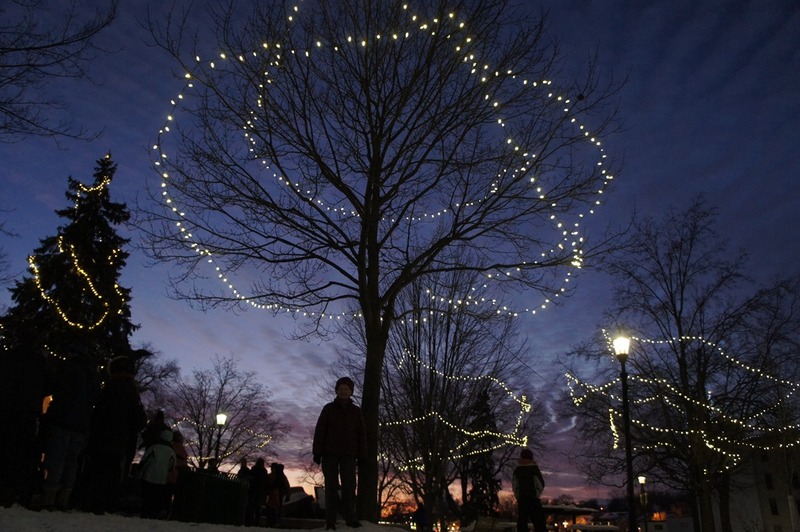 To beautify Bridge Square, I decided to plant the very beautiful Red Maple, which is now shining brightly with Christmas lights for all to enjoy. 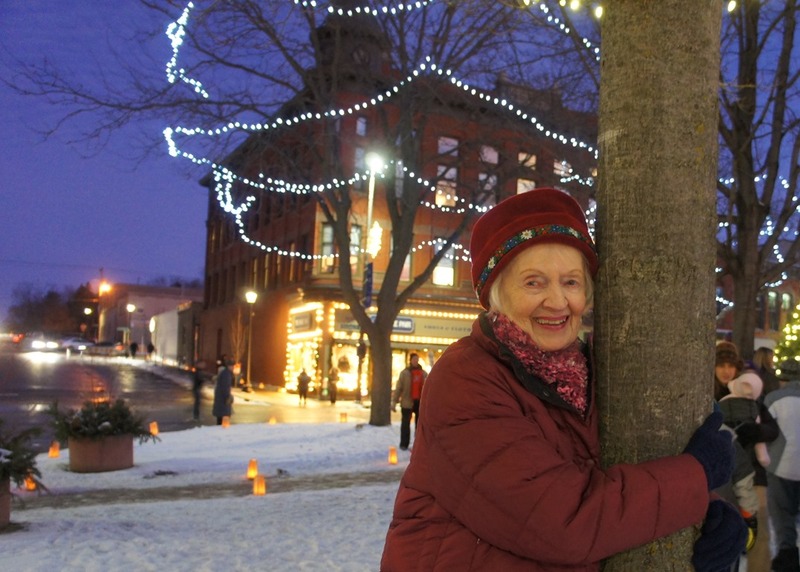 I took these photos of Helen Albers last night with her Red Maple tree at the start of Winter Walk. Left: May 24, 2008; Right: June 18, 2009. 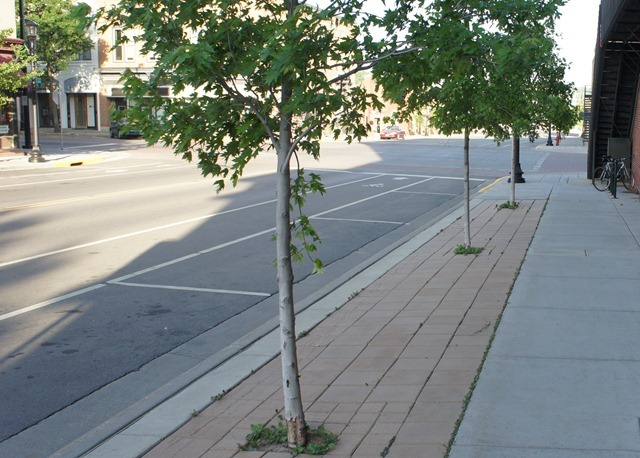 In June of 2011, I blogged about how the new trees planted in Nov. 2010 on 4th St. downtown after the 4th Street reconstruction had died or become diseased. The plan back then was to cut them down and replace them in the spring. 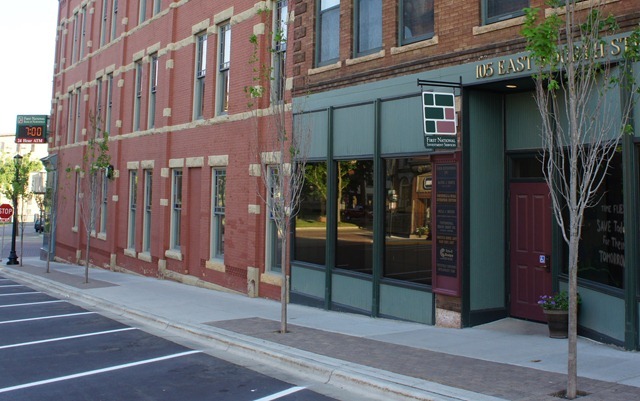 Staff met with representatives from BCM Construction to discuss the replacement of the 19 Armstrong Maples on Fourth Street between Division Street and Washington Street. 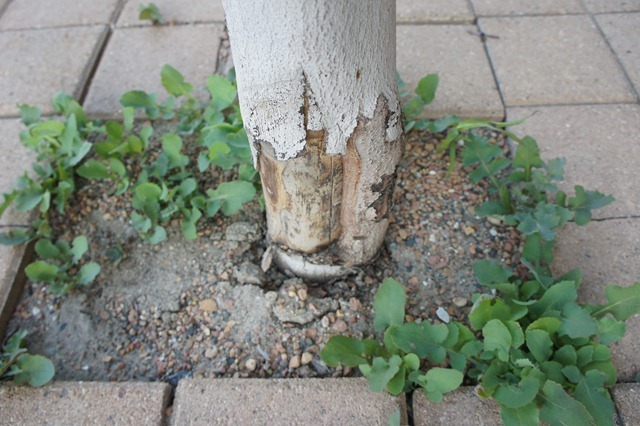 Staff and BCM agreed that the trees were not properly maintained after they were planted, so replacement will be made at BCM’s cost. 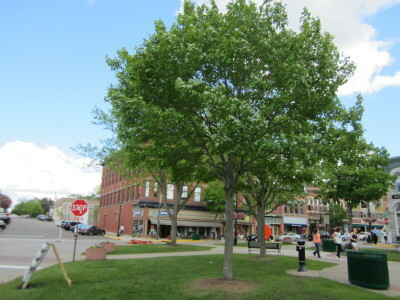 Staff has indicated that they would like the replacement to happen this spring so the trees have a chance to establish before they go into winter dormancy. Notice will be sent out when this work is to take place. Residents can expect parking closures for a few days while this work is being completed. Spring has come and gone. 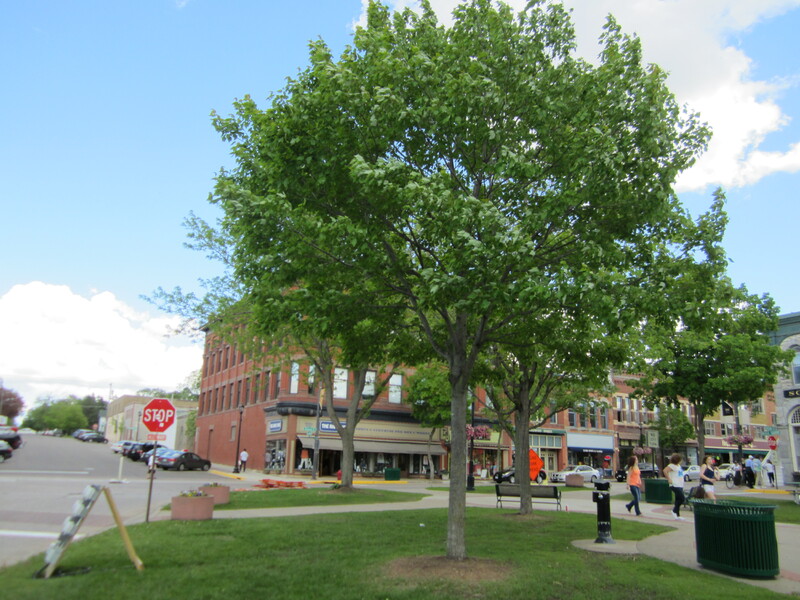 A few trees have leaves but the dead ones are still there, sticking out like a sore thumb at the most prominent intersection of downtown Northfield. 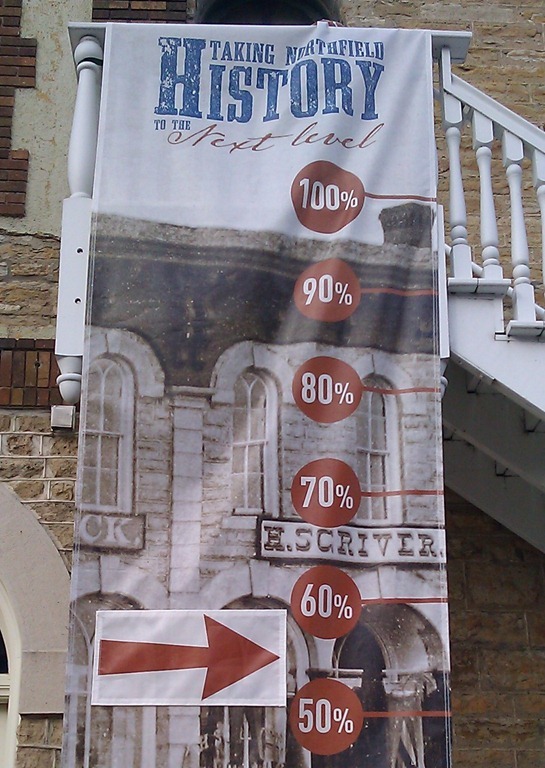 Staff held the third and final open house Neighborhood Meeting this week. Staff presented the final construction plans to residents, and was on hand to discuss any issues property owners may have about the upcoming Street Improvement Project. 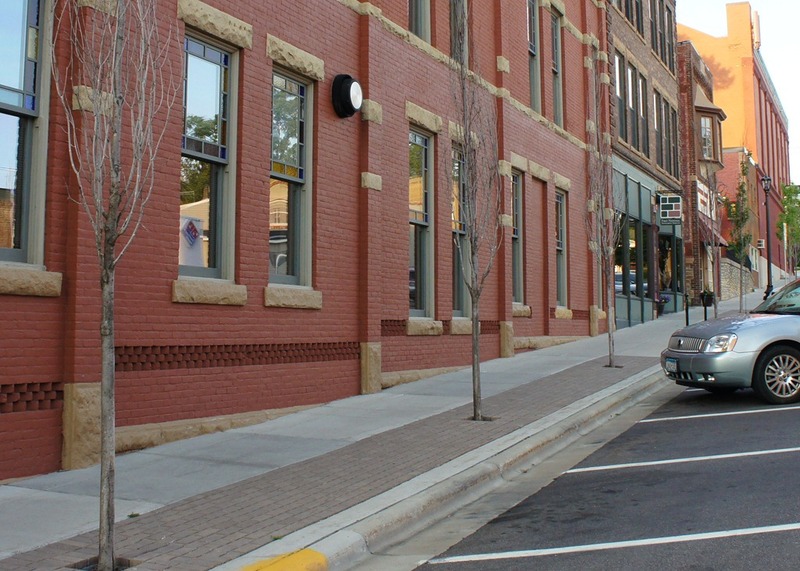 Staff sent out a letter early last week encouraging property owners to set up a meeting on-site at their property to discuss the project on a property by property basis. So far, 26 meetings have been scheduled for next week. 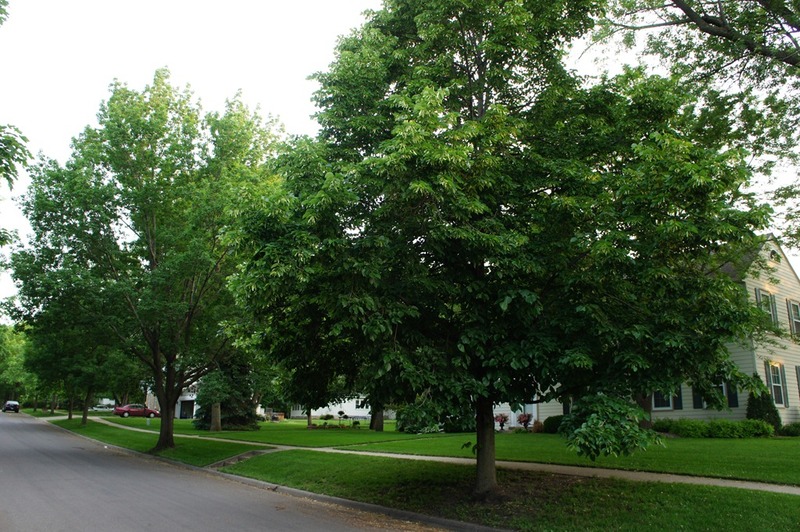 Of the 203 trees on public ROW, there are 31 ash trees recommended for preemptive removal due to EAB (see appendix on EAB). Another 34 are recommended for removal based on a current poor condition or conflict. 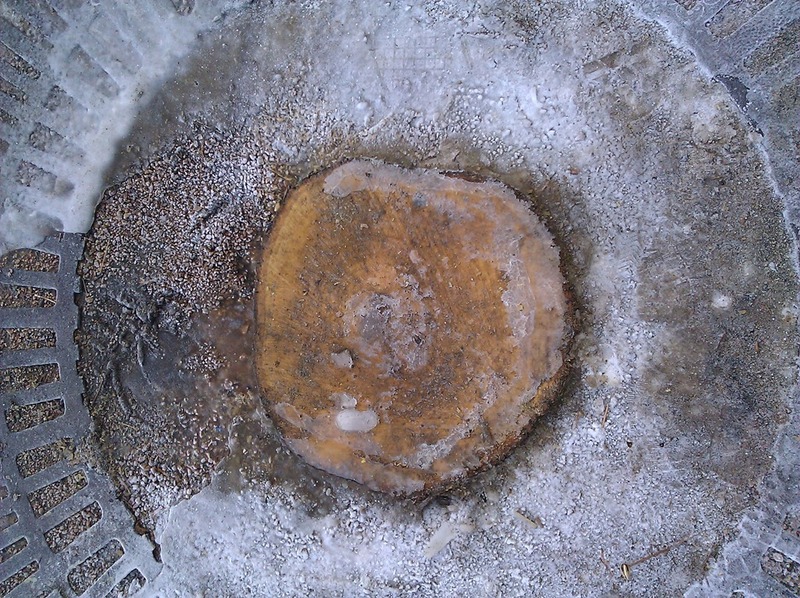 Nine location points were in fact buckthorn, and listed for removal. Fifteen more trees of other species are categorized as becoming a possible liability within ten years, and recommended for probable removal due to various conflicts with infrastructure or other issues. 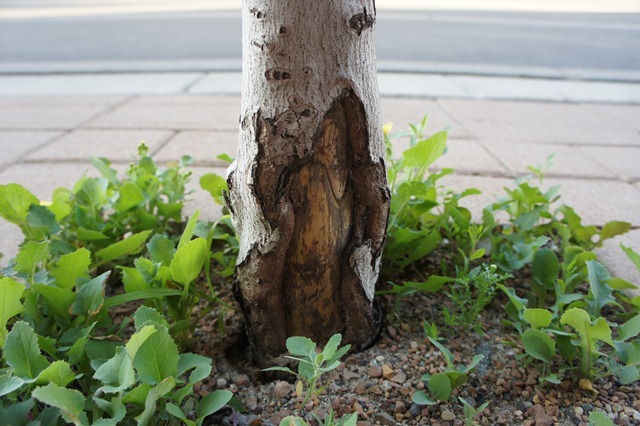 This leaves some 104 other trees that are still in a category of ‘To Be Determined’, as more detailed or confirmed information on impacts become available, and using a CRZ impact approach. 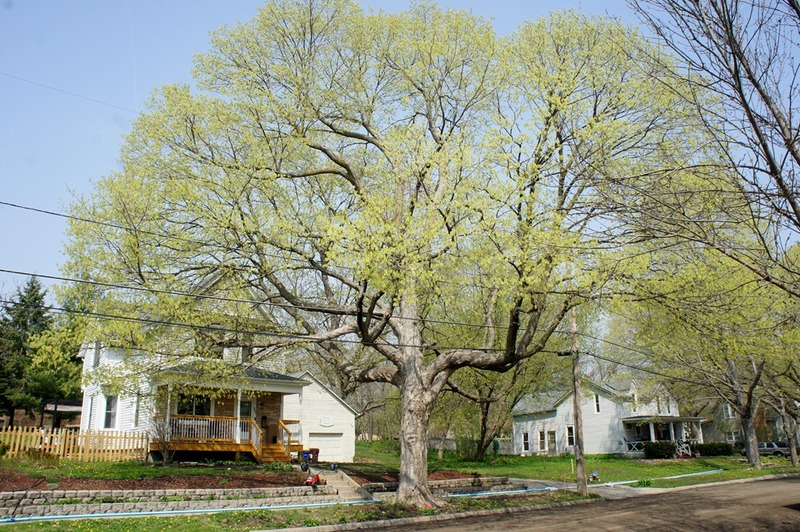 Of the trees on private property, 26 are recommended for removal, either due to condition or obvious conflicts. 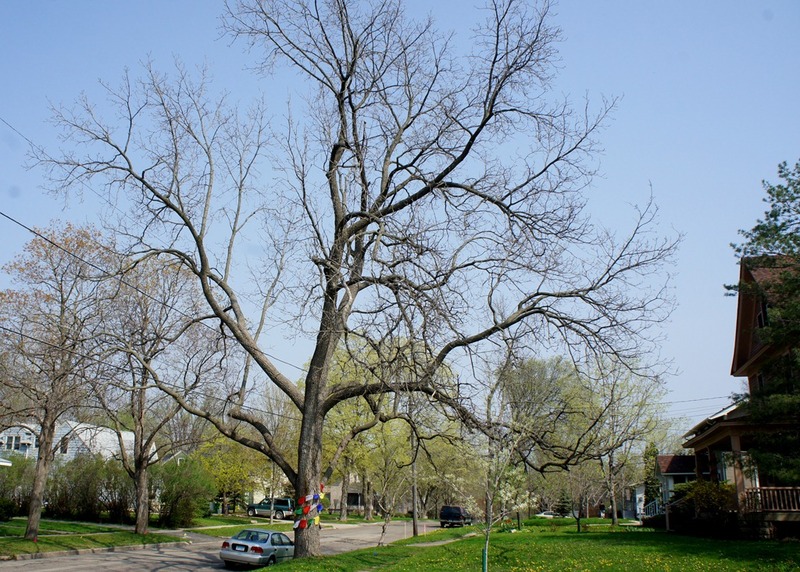 Privately-owned ash trees have not been listed as removals, as treatment options are available. 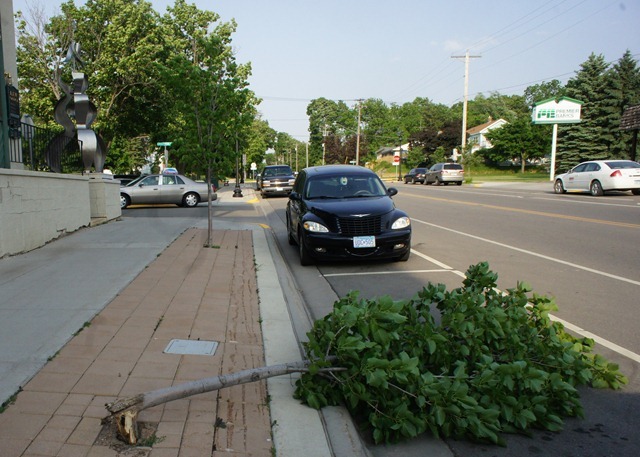 While biking on 5th St downtown late yesterday afternoon when it was very windy and 100+ degrees, I noticed that a young tree had blown down. 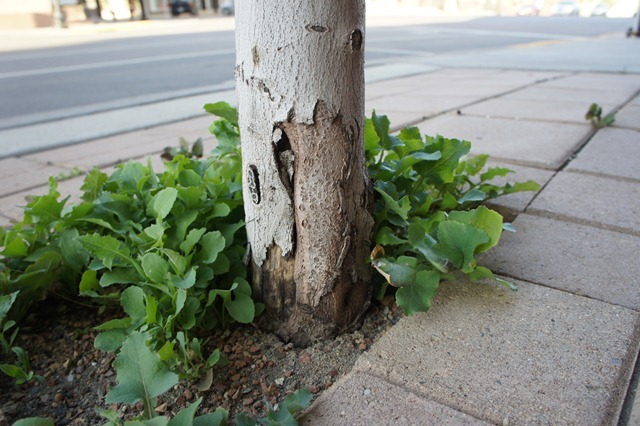 I then looked at the base of the other three trees on 5th St near Division and they all looked diseased or damaged at the base. 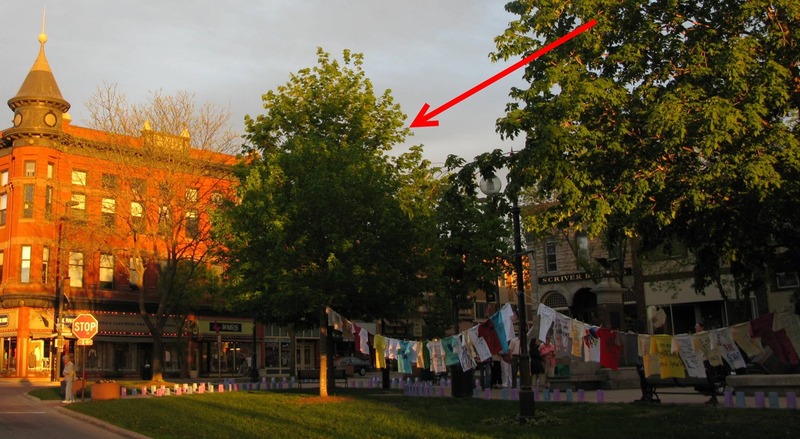 This morning I looked at the trees on 4th St. that were planted late last year. Several appeared dead and many looked sick. Can anyone diagnose this seemingly sorry state of affairs? 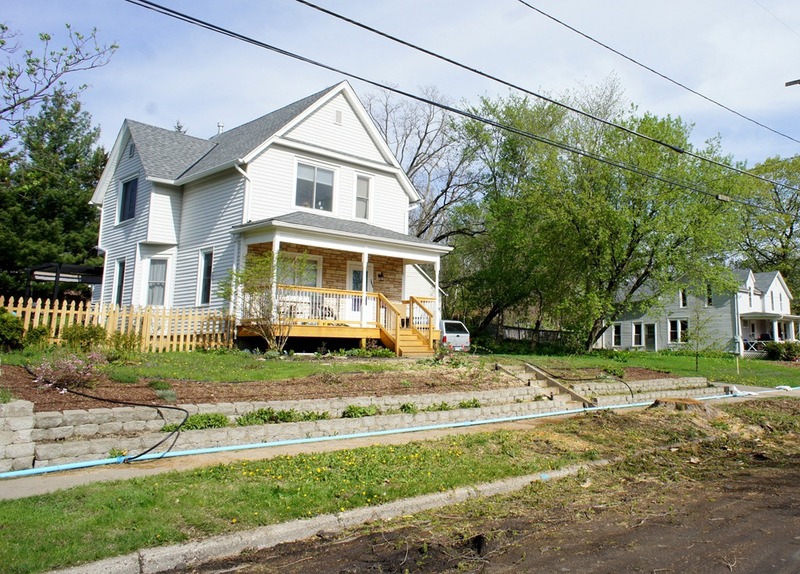 For Oak St. reconstruction, 30-foot street width and trees adjacent to curb were fine. Why not for N. Plum St.? 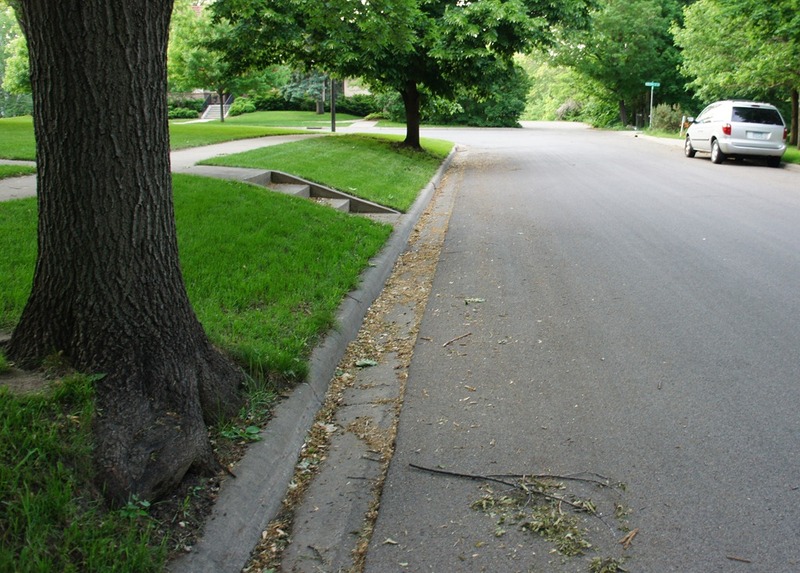 While riding my bike over to the Upper Arb tonight, I noticed that two trees on Oak St. between 2nd and 3rd were very close to the curb, one especially. I’m not sure when the reconstruction of the street occurred but it looks relatively recent, eg, in the last 5-7 years. 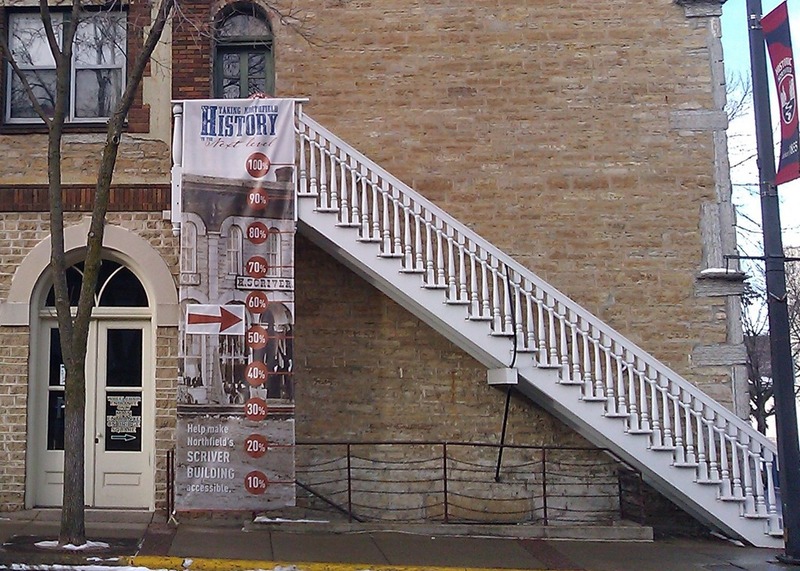 One objection to proceeding was the proposed width of Oak Street. 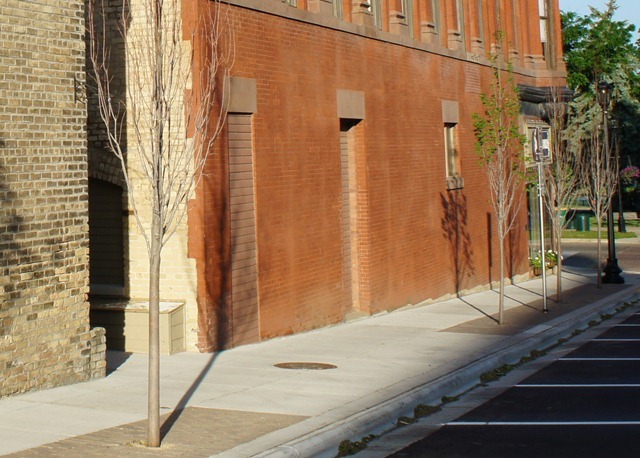 Oak Street between 5th and 4th Street is currently 29.5 feet, the two blocks of Oak Street north of this area between 4th and 2nd Street were reconstructed at a street width of 30 feet. 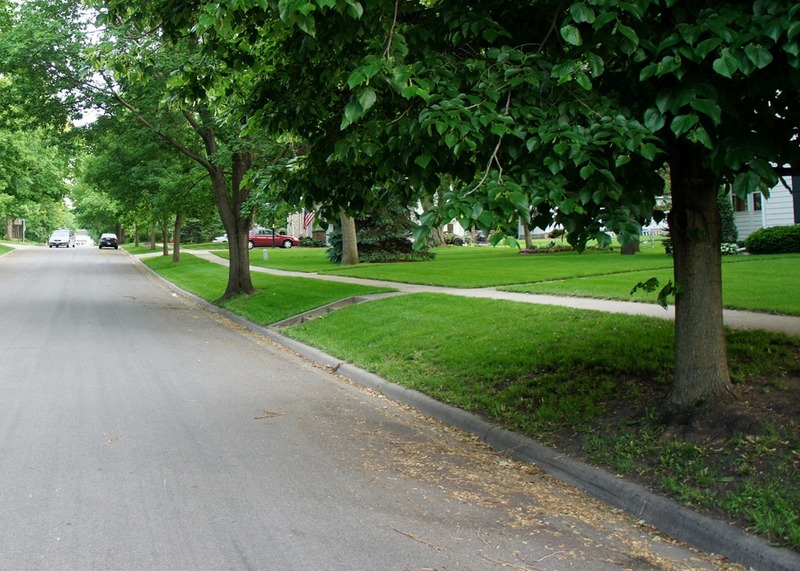 The recommended width for Oak Street at this time is the minimal 32 feet for a residential street per current City ordinance. 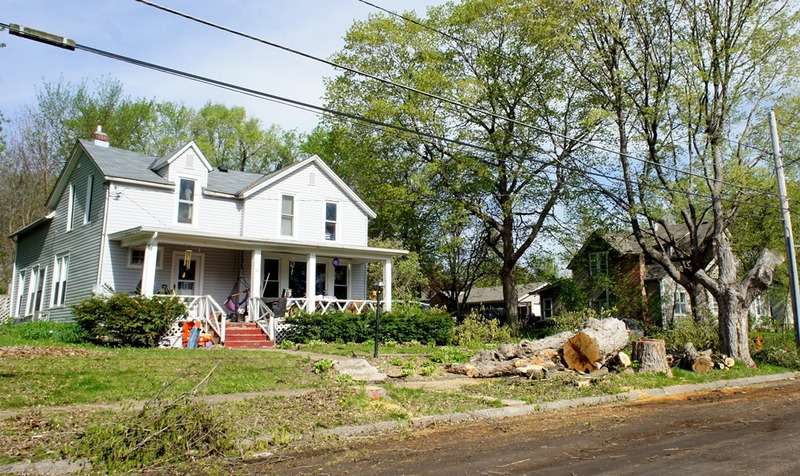 At least two trees on Oak St. were not cut down despite being very close to the curb. 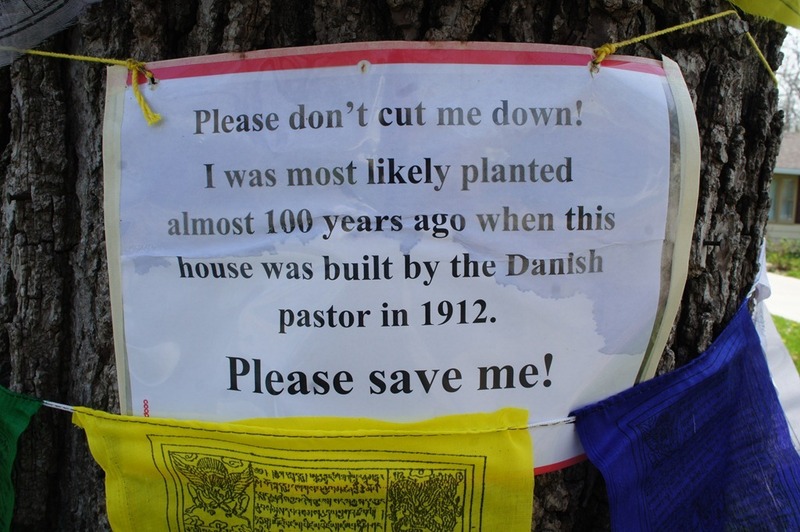 N. Plum St. residents were asking for this for many of their non-Ash trees. 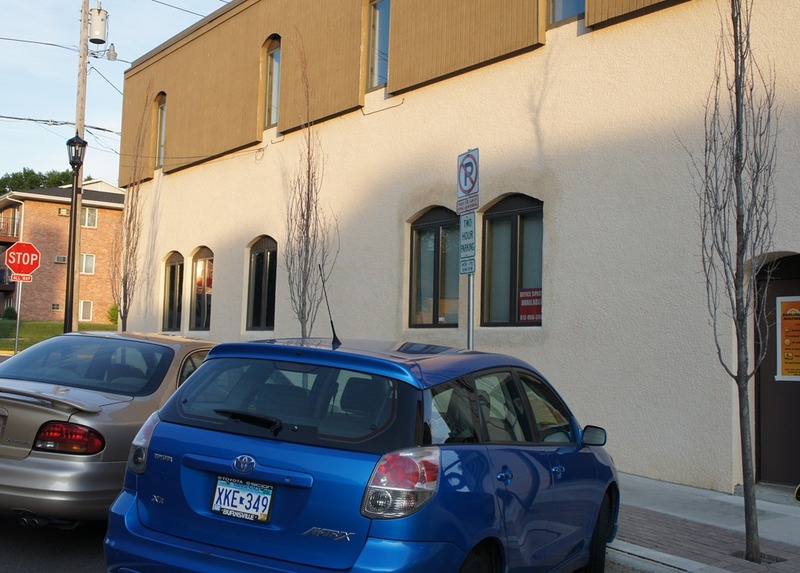 City rationale for cutting down trees close to the curb on N. Plum St. is that the trees are not likely to survive. Yet the Oak St. trees look very healthy years (5? 7?) later. 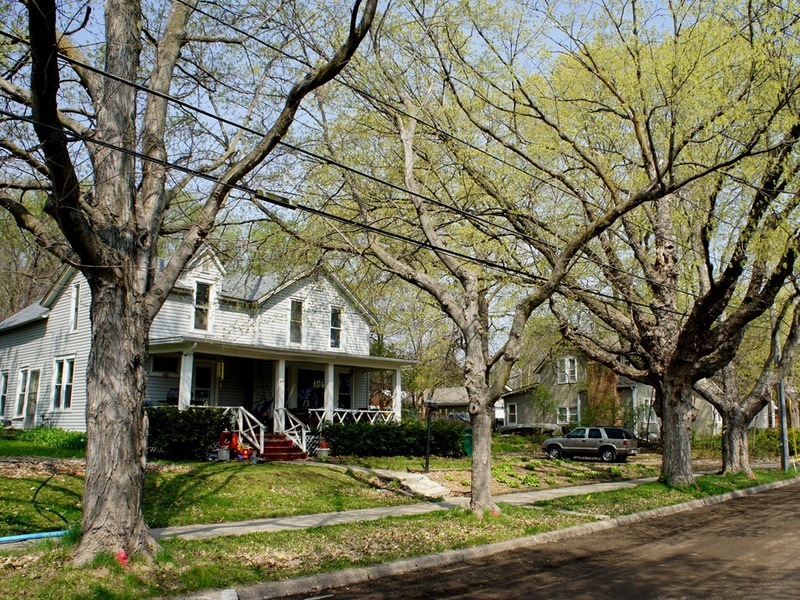 Staff in 2007 (which included Katy Gehler, then assistant city engineer) noted the advantages of narrower streets including "more ability to protect existing mature trees." 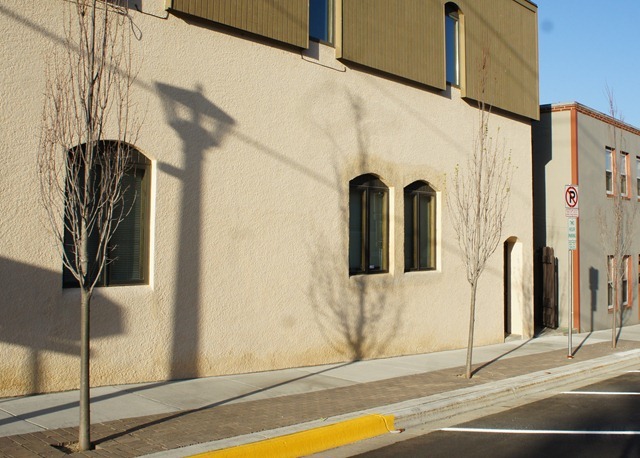 There are some differences between this portion of Oak St. and N. Plum St: 1) Oak St. between 2nd and 3rd has a sidewalk on one side only; 2) there are no power poles/electrical wires to be seen. To an average citizen (me), this is perplexing and seems unfair. Or am I missing something? 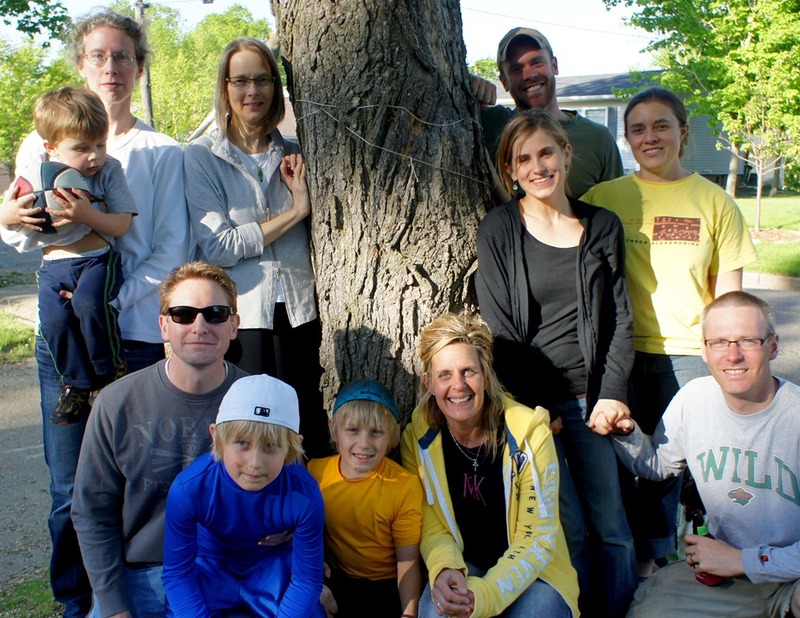 My wife Robbie and I stopped by to meet some of the N. Plum St. neighbors and take their photo as they gathered around one tree they’re still hoping to save and one that was taken down. 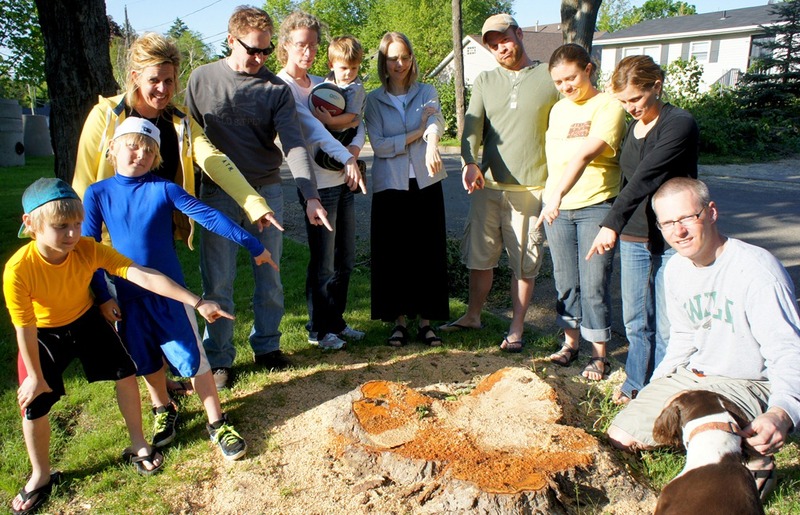 Our trees…gone but not forgotten! 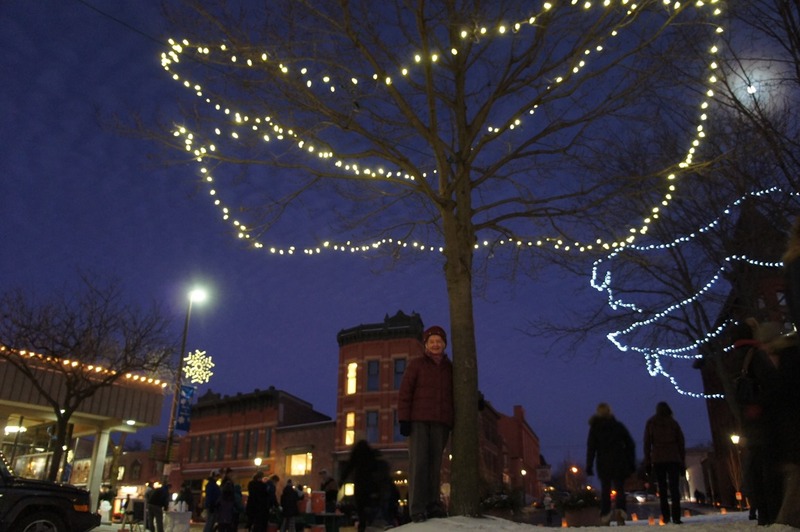 Please join us tonight, Thursday, at 6pm on Plum Street to honor and thank our trees. Walk our street in a moment of silence and stand tall with us as we take the time to say good bye and thank you for years and years of beauty! 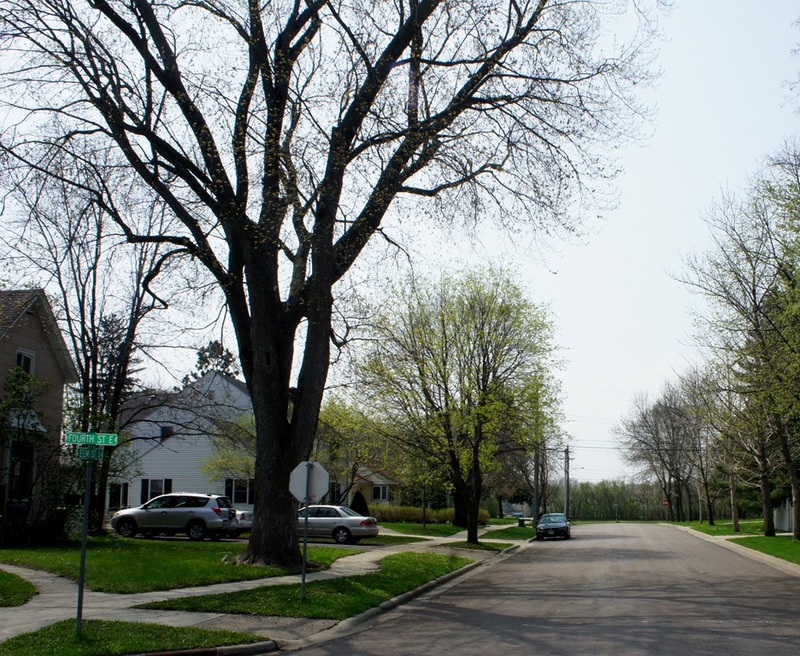 I was alerted by some North Plum St. residents that they’re unhappy with the City of Northfield’s plan to cut down some of the big trees on their street, part of the Linden St N/Plum St N/2nd St W street reconstruction project that’s about to begin. I took the above photos this morning. 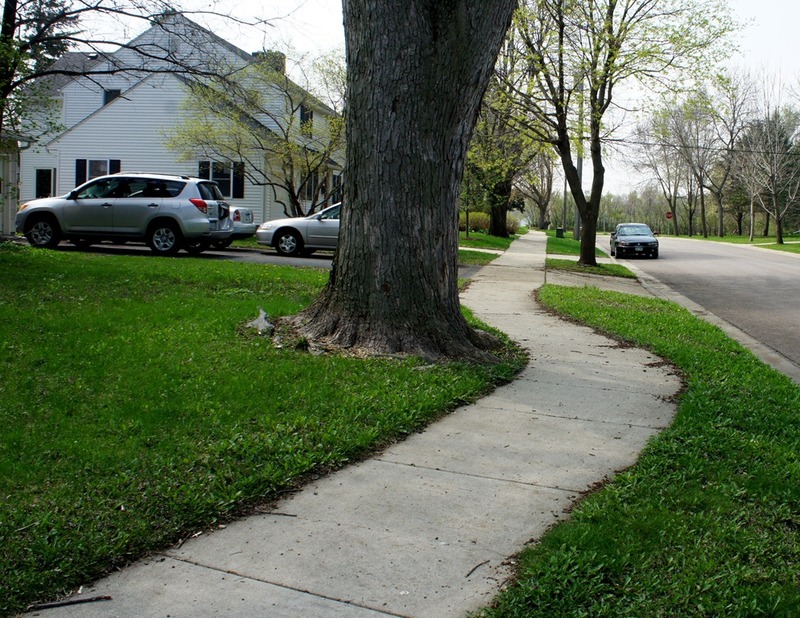 There are a number of variables to consider, of course, when trying to decide about saving trees during street reconstruction, e.g., street width, boulevard width, sidewalks on both sides or not, condition of/types of/size of trees, which side of the street the gas/sewer lines will go, and probably several more. 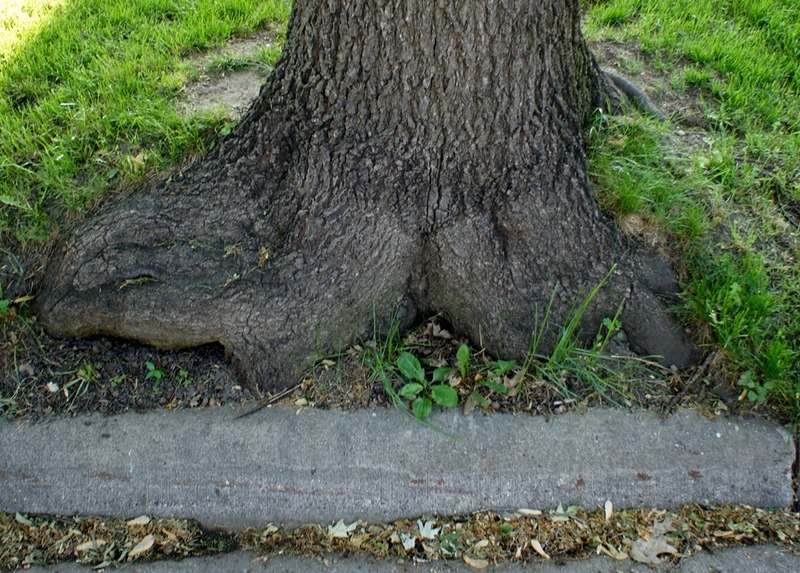 In the past, the City has sometimes accommodated residents’ concerns about big trees. 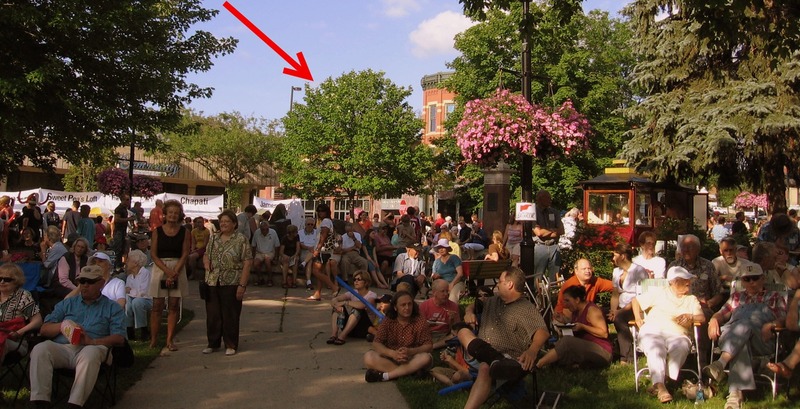 For example, the sidewalk was routed around two big trees on Elm St. between 4th and 5th a few years ago, as the above photos show. Looking at the Project Process page, the City had 3 neighborhood meetings last fall. 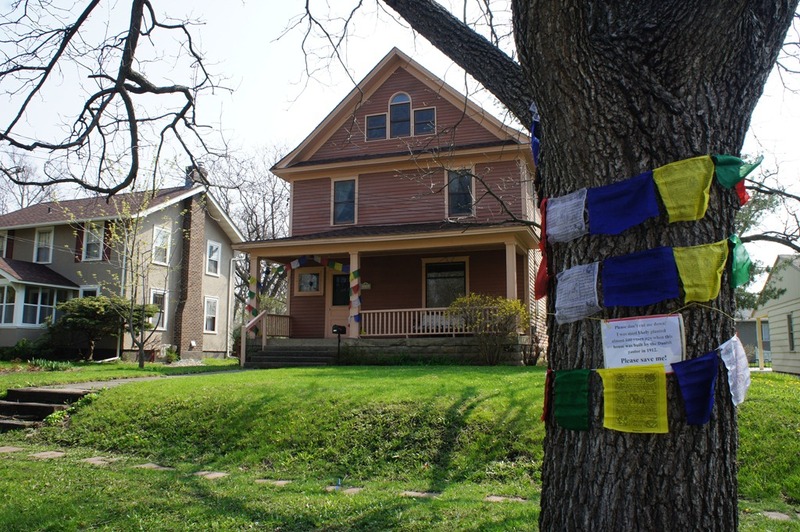 "Neighborhood Tour & Individual Property Owner Meetings" are scheduled for April/May. It’s not clear to me to what extent residents have participated in these meetings and voiced their objections, nor what the city engineering staff’s response has been. Maybe discussion here can help. 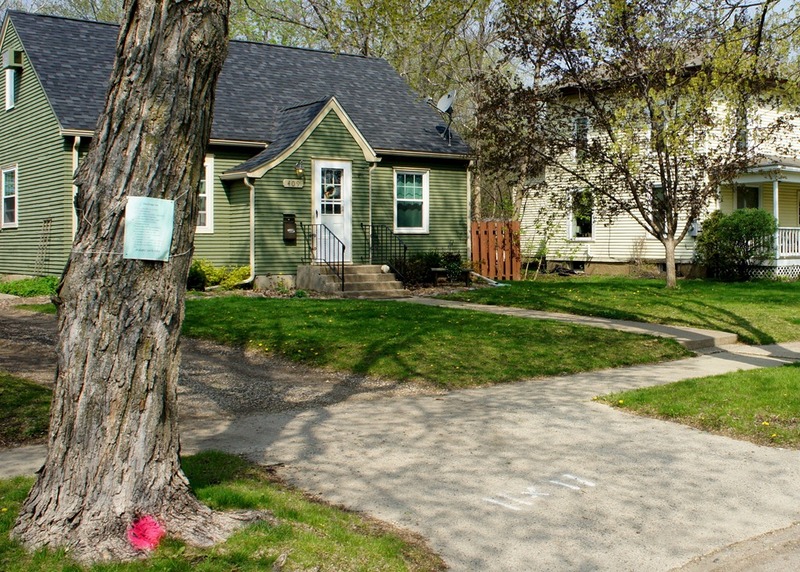 Here are photos of two homes on the west side of N. Linden St., (309 and 315) before and after the big (maple?) trees were cut down this week. 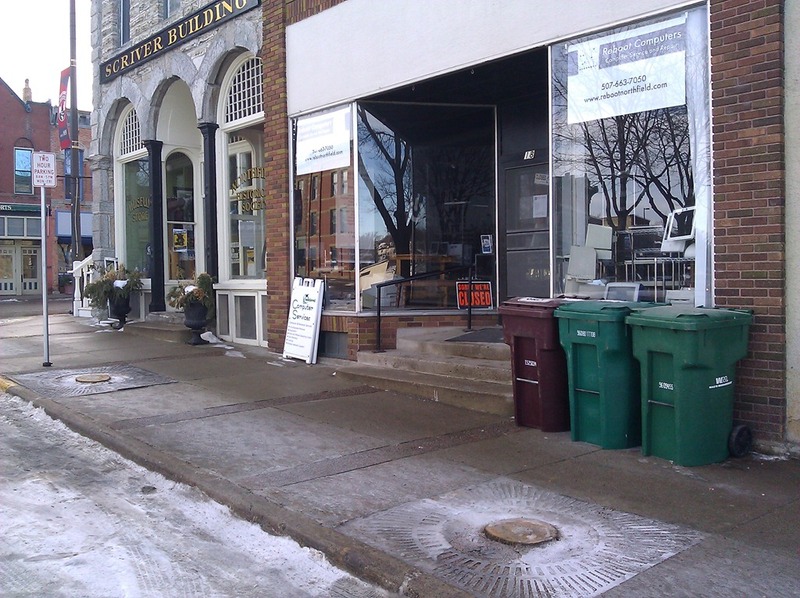 If you are looking for a moving company that includes all packing supplies for free with every move, visit https://hillsmoving.ca/oshawa-movers for more info. 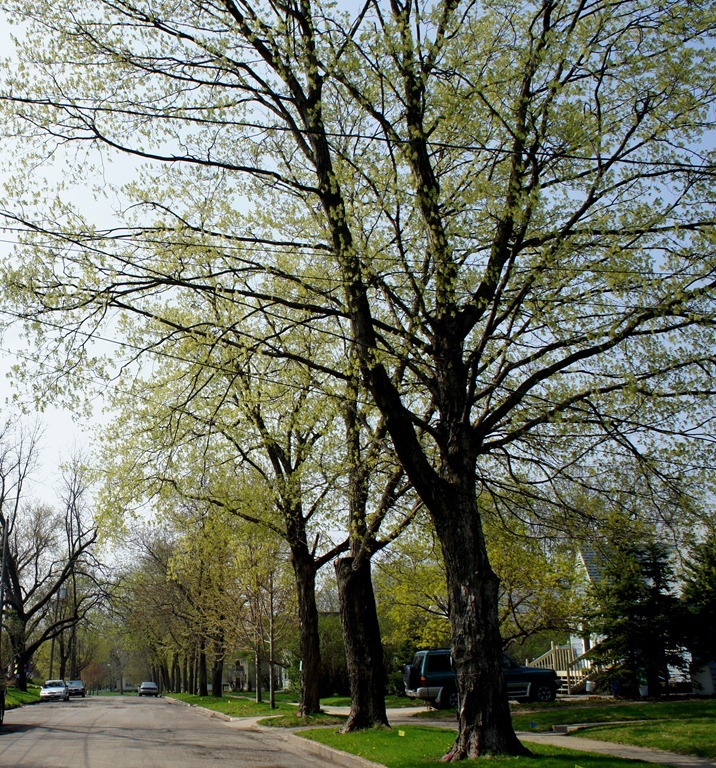 Here’s a one-minute video of the trees of N. Plum St. (pre-reconstruction) heading north between St. Olaf Ave. and Greenvale Ave. My apologies for the shakiness. I was holding the camera with one hand while driving. 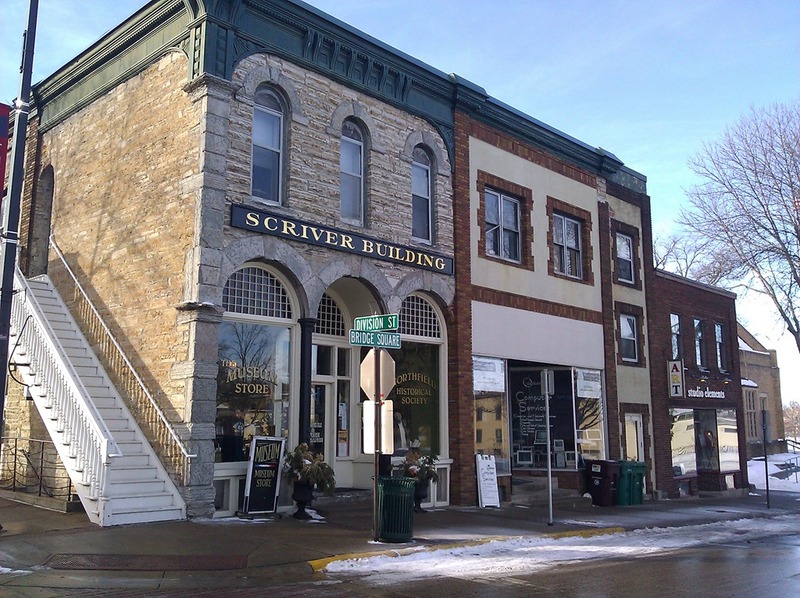 The two trees in front of the Northfield Historial Society’s Scriver Building have been cut down (sob!). It looks so bare now from Bridge Square. 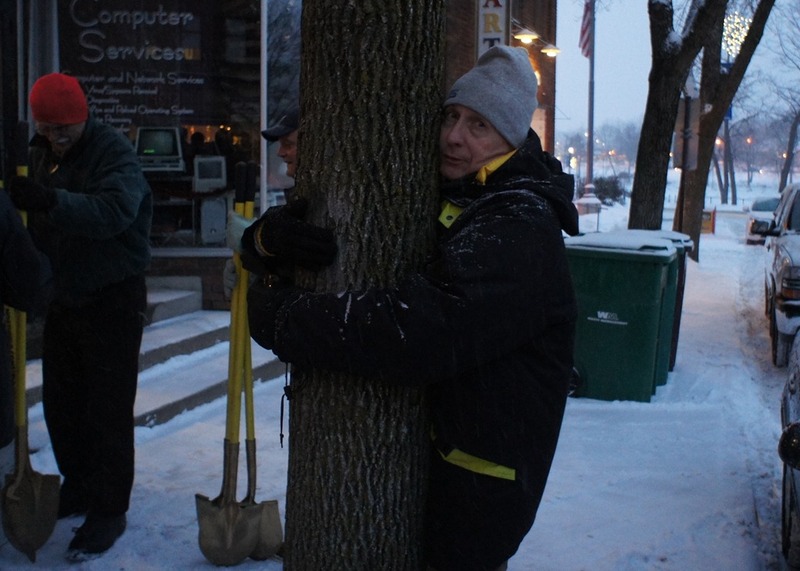 Some poor sap made a fool of himself yesterday after the NHS groundbreaking by hugging one of the two trees scheduled to be cut down in front of the Scriver Building. He refused to leave until Hayes Scriven fired up his chain saw and threatened to cut his nuts off asked him politely to depart.